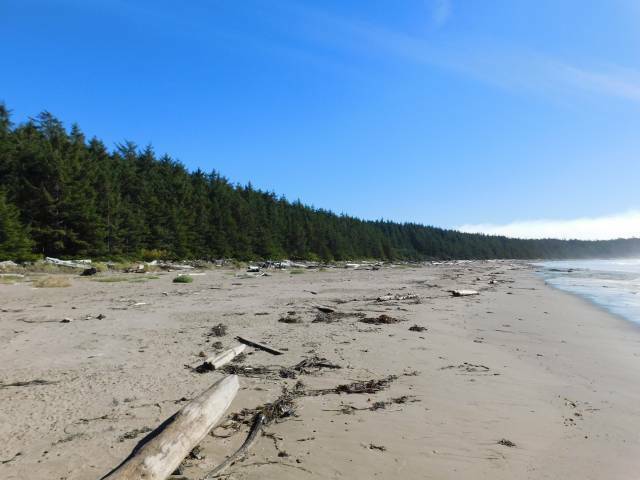 View south on the beach of the uniform sized conifers, some logs and ocean kelp. We saw NO human trash - left or floated to shore. It was wonderful.